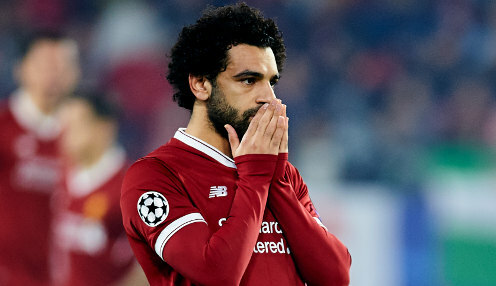 Liverpool head coach Jurgen Klopp believes his club have sent out a huge message about their future prospects by handing a new, long-term deal to Mohamed Salah. The 26-year-old, who has recently been in action at World Cup 2018 with Egypt, enjoyed a spectacular first season at Anfield, scoring 44 goals in all competitions to help the Reds reach the Champions League final and finish in fourth place in the Premier League. We want world-class talent to see they have a home at Anfield where they can fulfil all their professional dreams and ambitions. And Klopp is more than happy that a fresh five-year contract has been agreed and signed off, with Salah a crucial figure in the German's plans to build on the success of last season. He told the club's official website: "I think this news can be seen for what it is - rewarding a person who performed and contributed greatly for the team and the club last season. Despite suffering a shoulder injury in the Champions League final defeat to Real Madrid, Salah was on the scoresheet in both of the games he featured in for Egypt at World Cup 2018, but his side were unable to progress out of the group stage. Meanwhile, Liverpool are 11/10 to win the Premier League title next season, with Manchester United 12121/1 and Manchester City 8/11.